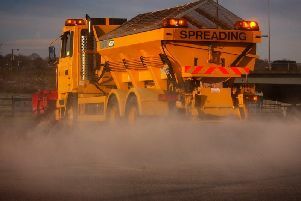 The Met Office has issued a new yellow weather warning for the North West as further wintry conditions, including snow, are set to hit. This weather warning for snow is in place from 1pm today (Jan 18) until 23:59pm tonight, covering Cheshire East, Cumbria, Greater Manchester and Lancashire. The Met Office said: “A band of rain, sleet and snow will move slowly eastwards across England and southern Scotland during Friday. 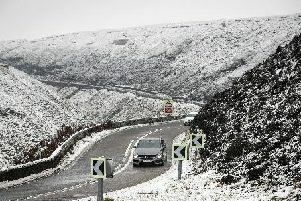 Hill snow could cause travel disruption across southern Scotland, northern England and the north Midlands on Friday afternoon and evening. Today will see cloud thicken as the day progresses, bringing rain or sleet by this afternoon. Snow will fall mainly on high ground and it will feel chilly thanks to a brisk breeze, with a maximum temperature of 4C. A Met Office yellow weather warning is in place from 1pm today until 11:59pm tonight, covering Cheshire East, Cumbria, Greater Manchester and Lancashire. Tonight will be cloudy, breezy and cold with patchy rain. There will be further snow on high ground, which could leave a covering of snow on the hills. Saturday will see a frosty start, with parts of Cumbria set to be cold and bright. Cloud and rain showers are likely further south of the region, with further snow on high ground. Sunday morning will be frosty, with patchy rain and hill snow throughout the day. This will then be followed by cold and bright weather on Monday, with heavy rain, gales and some snow likely from Monday night.